With Chinese New Year just around the corner, we undoubtedly want all the good luck we can get. Who knew that good fortune could also be found in the food we eat? Heads up, fruit lovers – this one’s for you! Attract prosperity and good luck to your side with these 12 fruits, according to Feng Shui experts. Other than being used to teach children the alphabet, apples also symbolise harmony in Chinese (苹). “An apple a day keeps the doctor away”. With that being said, remember to eat fruits daily! Oranges take the centre stage every Chinese New Year. Its rounded shape represents money, while also signifying gold. The fruit you’ll see lying around most this Chinese New Year, reach for an orange before going for other processed snacks when house-visiting! These tiny bursts of sweetness were traditionally eaten by royal blood in the past. Today, it symbolises wealth. Loaded with Vitamin K, grab some grapes for a quick nutritional boost! As if we needed any more reason to love this tropical delight, mangos reflect strong family bonds with its natural sweetness. What’s more, rejuvenate your skin this Chinese New Year with the antioxidants in it! Also going by the name “ong-lai”, pineapples represents fortune cones. Remember to keep one around the house for extra prosperity! This versatile fruit can be used in smoothies, pancakes, and even ice cream. Who can resist eating just one banana? Thankfully, it comes in a bunch, which signifies unity. Its yellow colour stands for happiness. More than enough to share! Did you know that lemons are actually sweeter than strawberries? It tastes sour because of the high citric acid content of 3-6%. However, this citric acid is known to eliminate negative vibes. Pop a slice of lemon into your water for extra flavour! Popular in the keto diet, avocados are high in mono-saturated “good fats”. This Chinese New Year, it brings you additional prosperity with its green and purple hues. Another symbol of prosperity, its many seeds stand for abundance. Thirsty from running around house-visiting? Fret not, and have a slice of watermelon. High in water content, these will surely help you stay hydrated! Don’t be fooled by its shell! Beneath its prickly exterior lies a soft, supple fruit that won me over at first bite. Its red colour symbolises happiness and good fortune, coming your way! Similar to the orange, the papaya stands for gold. With a soft, buttery texture, avocado lovers will be sure to love this fruit. The digestive enzyme, papain, found in papayas have been shown to reduce inflammation as well. A good fruit to balance out the “heatiness” of those CNY goodies! With its bright red or pink pulp, pomelos represent good health. Its white membrane, while bitter, also helps to fight cancer. Perfect for the young and old alike! Whether you believe in Feng Shui or not, no harm eating these fruits anyway! At the very least, you will be getting the vitamins and minerals from the fruits. 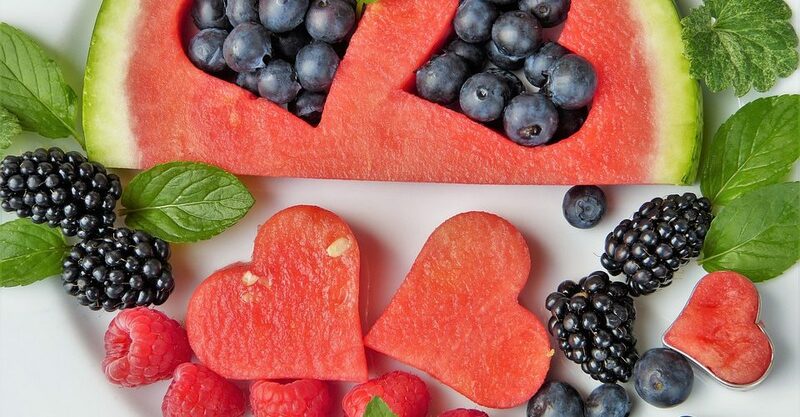 Or even better, take it as a chance to incorporate even more fruits into your diet!